#AskWardee 030: How Do I Use All This Yogurt Cheese? 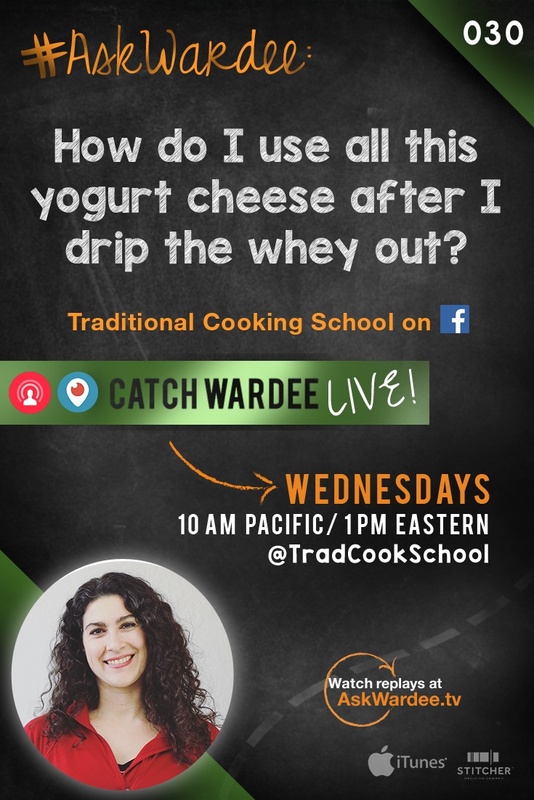 “How do I use all this yogurt cheese after I drip the whey out?” asks Cecilia E. on today's #AskWardee. 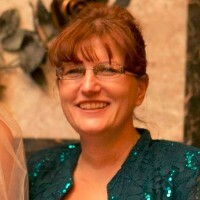 I'm sharing my thoughts below! By the way…everything here applies to kefir as well! Is Yogurt Cheese As Healthy? I'm not sure what else to say about this. It's the yogurt or kefir sans the whey (water content that also contains acid, dissolved protein, and probiotics). The milk protein and probiotics are what's left behind. It's very healthy — and very delicious! It will keep longer than normal cream cheese because it has the protection of probiotics. It will become more sour in the fridge, however, because it is still aging, though more slowly. Also, more whey may separate out and pool around it in its storage container. Mine keeps a week or 2 before it's too sour for us to enjoy. In addition to what you suggested — spreading on toast and cheesecake — here are more yogurt cheese uses for you! Salad dressing — use your yogurt cheese in place of kefir, yogurt, or sour cream. Dip — add herbs, salt, pepper, along with milk or sour cream for consistency. Smoothies — add a dollop of your cheese in place of yogurt or kefir and just make sure to use more liquid. Turn it into “yogurt” again — whisk in raw milk until it's back to yogurt consistency. It won't be as sour because the milk sweetens it, but you can eat it like yogurt. This is in case you miss having yogurt because you turned it into cheese. Use it in soaked recipes — turn it into yogurt again by whisking it with raw milk, then use it in recipes that call for yogurt or kefir for soaking. Only you don't need to add additional acid because the yogurt cheese was already the sour acid. Drizzle it with olive oil — and use as a dip for sourdough bread, Mediterranean style. Mix in salt, and drizzle with olive oil — and serve Mediterranean feast style, with other cold or finger foods like hard boiled eggs, pickled vegetables, hummus, bread, etc… Lay out a feast, and yogurt cheese is one of the options! Make yogurt cheese balls — drip the whey out until the cheese is very dry. Then shape into balls and submerge in olive oil or brine. Yummy! Layer with fresh herbs in a soft cheese mold like this — and serve at a party with crackers or cut up veggies. What are your favorite yogurt cheese uses? I wanted to make a copy of these notes but I could not find out how. I use the yogurt cheese like Greek yogurt. This morning I put a dollop of yogurt cheese on my omelette,with salsa and cut up avocado. I have the opposite problem. Love and use up yogurt cheese but have troubles using up the whey. We are all so different. I thank you for all great idea to use my kefir cheese up. What I have been doing is mixing a strawberry chutney and then spread that on crackers. I like idea of the viewer gave of.honey and cinnamon on pancakes or waffles. I going try on toasted English muffins.